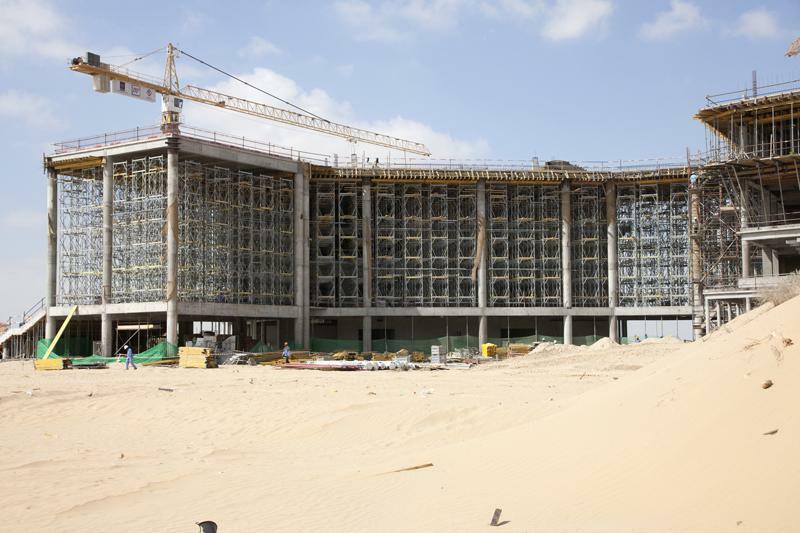 More than 14,467 m² of slab are being shored with the new Doka load-bearing tower Staxo 40 during construction of the Manipal University Campus in Dubai. This ergonomically engineered and weight-optimised load-bearing tower system is delivering both fast erection & dismantling times and high workplace safety at this site, making a key contribution towards a more efficient construction workflow. With a view to the future, Dubai has been working hard to diversify its economic base. One focus of investment activity is in expanding the emirate’s tertiary and postgraduate educational provision. 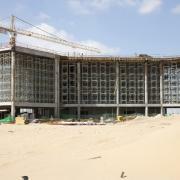 A recent example is the first phase of construction work on the Manipal University Science & Technology Campus in the renowned Dubai International Academic City. This architecturally discerning complex of buildings is characterised by cantilevering floor slabs, by atria that extend across three storey levels, and by a spacious terraced storey. 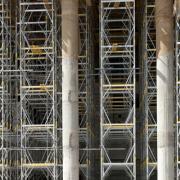 To help it accomplish these technically demanding construction tasks, contractors Sobha Contracting LLC are relying on the formwork expertise of Doka and the benefits of its new Load-bearing tower Staxo 40 system. 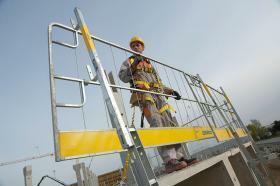 Site Management were also convinced by the system’s high standard of safety, with its tested anchorage points for personal fall arrest systems, integrated safety catches for fixing the diagonal crosses, sturdy ladderways and the facility for creating gapless planking decks. Thanks to the use of the finite-element method in the constructional design process, Staxo 40 also excels for its combination of high stability and reduced frame weight. 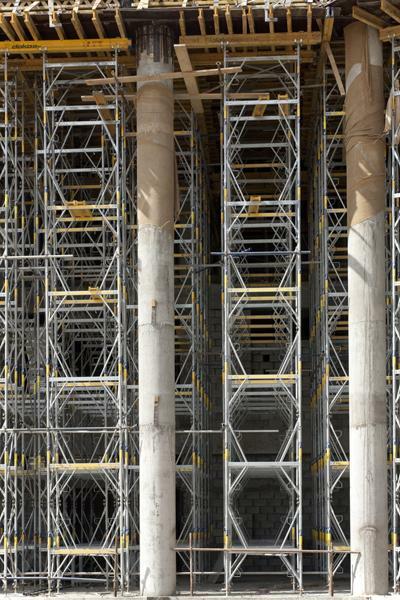 This enables the system to deal safely with the large shoring-heights of up to 12 metres encountered in the building of the Manipal University Dubai Campus. Thank you for your interest - Large areas shored quickly and safely with Staxo 40. Thank you very much for your interest - Large areas shored quickly and safely with Staxo 40.